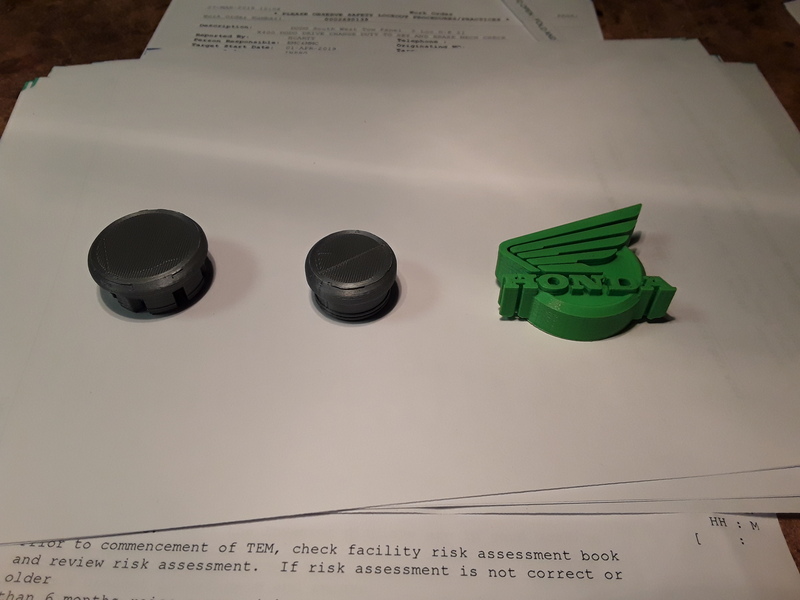 Hi all, returned to work today after 2 weeks on jury duty and found a 3D printer had been purchased, does anybody have any ideas for parts that I could try and make? I thought of the plastic bungs on the side of the frame or similar one for steering stem. There is a design online for a fuse box cover for a CB750 / 900 that looks very similar to one on a 1000F. I will need to learn how to use CAD software to design the parts so nothing too complicated at first! 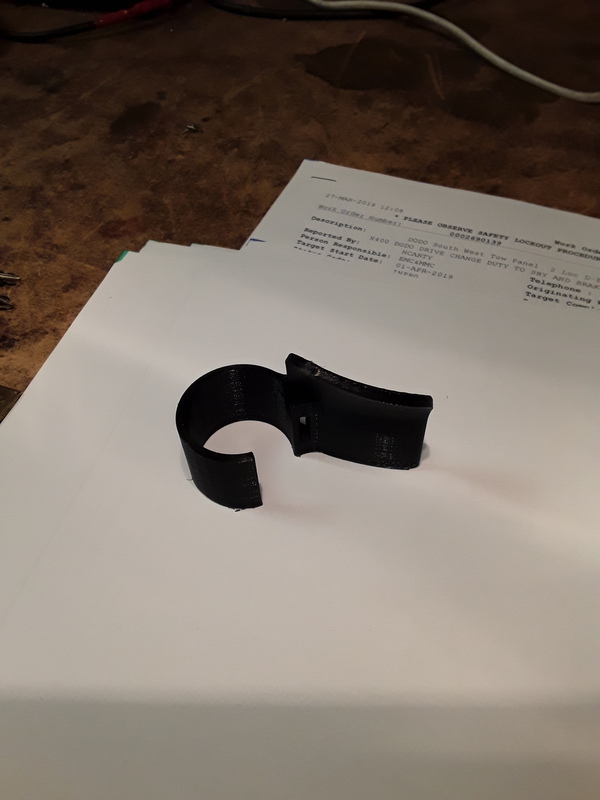 I tried it out by making a throttle ease paddle due to breaking my wrist in January and needing to wear a brace on my wrist at the moment when I ride, the quality was really impressive. Excellent idea, will play with CAD software to get the hang of it over next few days and then remove my grill and try to copy it. 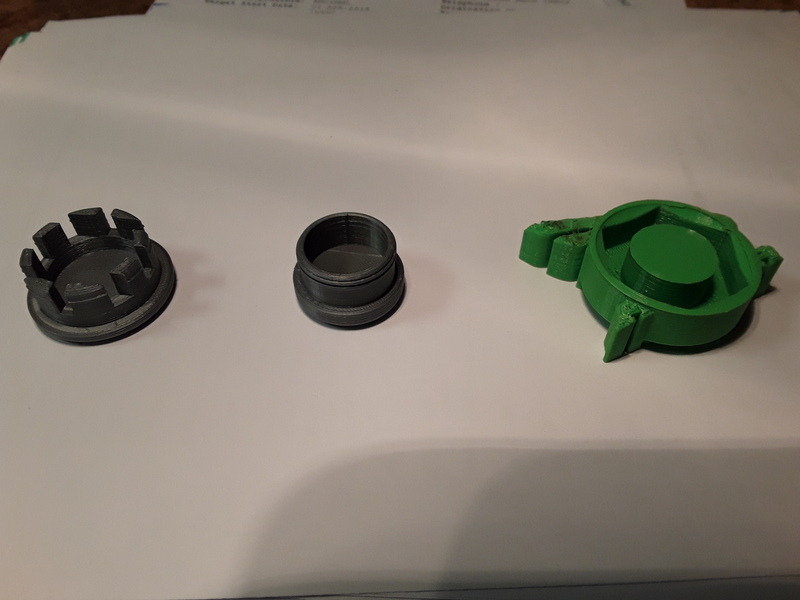 Today I’ve made two types of push in bung and one for the steering stem bolt, all designs were downloaded from web and sizes are easy to adjust if they don’t fit also several different colours are available. Apparently they can be polished to get surface marks out. Hi gary! Can you do me a full rear mudguard, a belly pan and a single seat cover, cheers Seriously this brings great possibilities though, looking forward to catching up in that there Scotland. May need a bigger printer to do them! This is not strictly vf1000 but made it much easier to do oil change today. The can of magners helped also! Can’t wait for Scotland bash, see you there. Can print one off for you Pete courtesy of JLR and bring to Scotland, anybody else want one let me know. 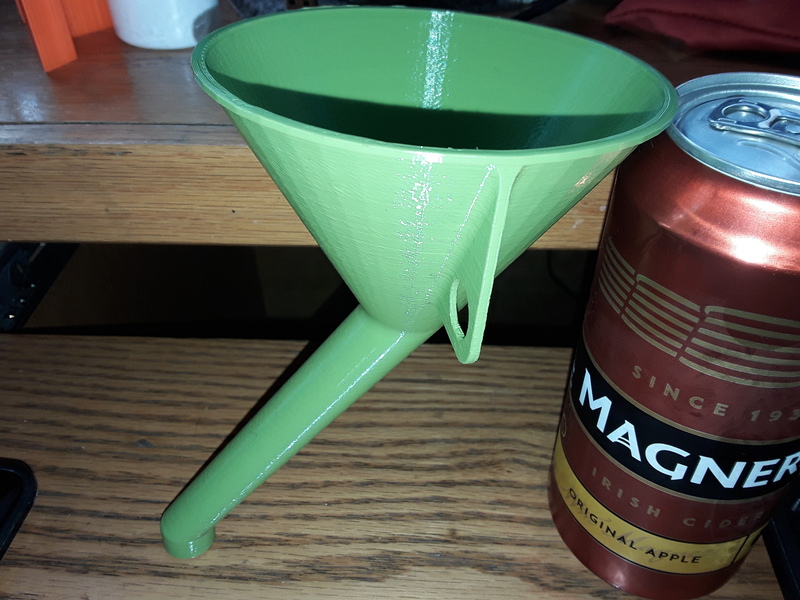 an you put me down for one as well, it’s a right PITA with a normal funnel cheers. Sure thing, back in work in the morning will print them as soon as I’ve finished my coffee, not making cars tomorrow so easy day!